With the aim of improving the service offered to our customers and respond quickly, considering the always more restricted schedules of these days, we have by long created our own in-house technical office dedicated to the electrical and mechanical project-design. 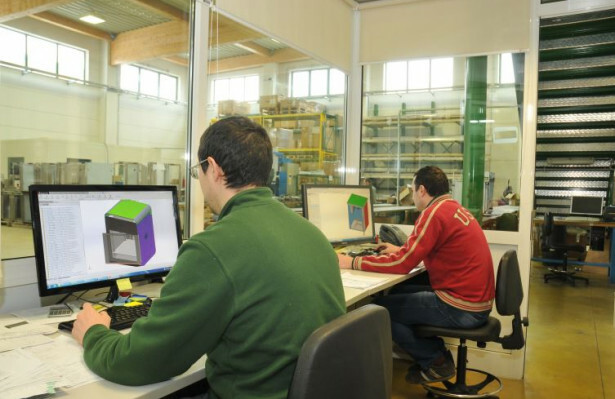 The project-design is carried out with the aid of 2D CAD systems and SOLIDWORKS 3D by specialized technicians with many years of experience, who are able to find the most suitable solution to a wide range of requests. The project personalization is our winning card. We take advantage of the experience gained over the years to offer electrical design solutions in both civil and industrial sectors. After the inspection has been carried out and we understood what the customer needs are, we dedicate ourselves to the design of the best system solution. We do not limit ourselves to the project-design, we are able to manage all the phases of electrical plant building: realization of the technical drawing, tracing on walls, installation of the plant, final testing, and we also take care of its regular maintenance. A good electrical system is characterized by a high degree of safety, it must guarantee efficient energy performance, but above all it must comply with the law! We are always available to work together with the customer on new initiatives and innovations. We guarantee prompt responses and we commit so that all customer needs are met. In addition to a detailed project-design, the correct mechanical components assembly, the compliance with the law and a scrupulous testing actively contribute to the achievement of our goal: the realization of a performing, safe and reliable final product.